Want to know what it’s like to hang out at Elton John’s house? Unless you’re Victoria Beckham or Neil Patrick Harris you’re probably never going to find out. 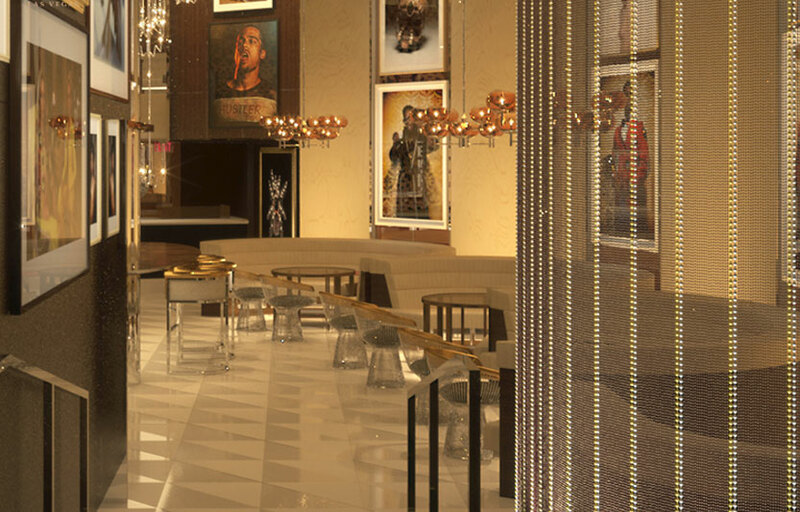 But Fizz at Caesars Palace, which was created by John’s husband David Furnish, might come close. Adorning the walls, which boast a silk moir fabric, is John and Furnish’s colorful photography collection. The glow of elegant chandeliers adds to the sparkly interior. Accents of bronze glass, cream leathers, faux fur and cheetah print — alluding to the spirit of the late ’60s and early ’70s — also abound. We figure that’s what their house might look like too. Besides the funky decor, the reason you go to Fizz is for the Champagne. You can enjoy high-end bubbles by the glass or bottle and couture cocktails complemented by a carefully curated selection of eats (caviar, charcuterie and small plates) created by John’s personal chef. Fizz has more of a bar / lounge vibe to it – there is music but there really isn’t a dance floor. Fizz is open for business daily. Our guest list at Fizz is good for 1 free glass of house champagne. Every night from 5-7 PM or 7-9 PM, Fizz features for “Bottomless Bubbles” ($36) which includes endless champagne refills. Where is Fizz Lounge located? How much is cover charge at Fizz Lounge? How long will I have to wait at Fizz Lounge? When is Fizz Lounge open? 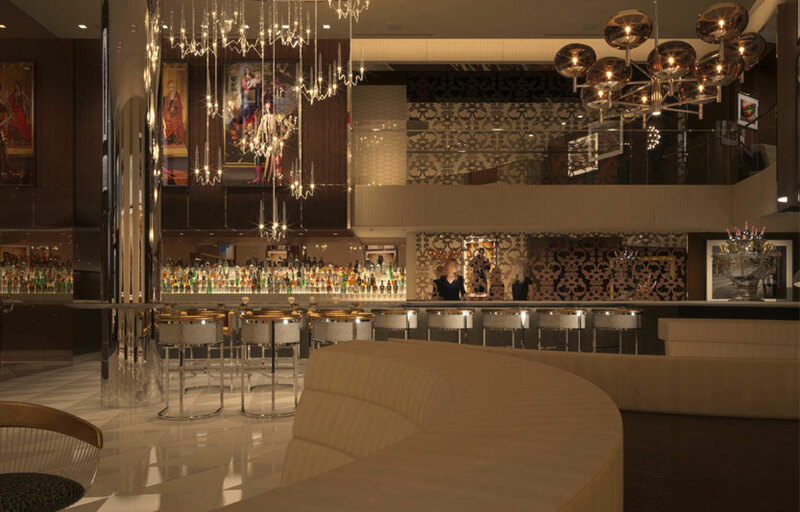 Fizz Lounge is open from 5:30 PM – 2 AM on Sundays through Fridays. On Saturdays, 1 PM – 2 AM. What are the best nights to go to Fizz Lounge? Fizz is open on most nights. It will typically be busier on Fridays and Saturdays. What is the dress code at Fizz Lounge? Business casual. It’s not a nightclub so you probably won’t get turned down at the door for dressing down. But it’s still a nice venue, so dress appropriately! How much do drinks cost at Fizz Lounge? Cocktails are around $19. Not cheap! We do have a few great bottle service packages at Fizz. What kind of music do they play at Fizz Lounge? Typically more lounge-y low key music. Where can I find an list of upcoming events / DJs at Fizz Lounge? You can download the Discotech app to see upcoming events and get on guestlist Fizz Lounge. You can also visit Fizz Lounge’s website for a current list of events.